Hyu Korean Restaurant is a simple Korean eatery that comprises over two different rooms in which cozy seating arrangement has been made to console guests. The decor of this restaurant make you feel, as if you are consuming food in a bistro in Korea. Overall environment of Hyu Korean Restaurant is pretty calm and relaxed, so people who do not like much noisy places will love this venue. Food served here is authentic Korean fare, as this restaurant has imported a native chef from Korea especially for this purpose. The Korean food offered at this restaurant is pretty delicious and truly reflects its authenticity due to this reason most of the clients you will see at this bistro will be Korean expats. Price and level of service are also great, as female staff of Hyu is pretty accommodating and friendly. Authentic Korean food is not the only best thing about this restaurant because this restaurant offers some other services and products to their guests which will make them come here again and again. One of these attributes is their great service. Secondly, guests get to enjoy a variety of complimentary starters at this restaurant. Their main course specialties such as Korean barbecue, glass noodles, bibimbap, bulgogi, tteokbokki, patbingsoo and etc makes your dining experience unforgettable. 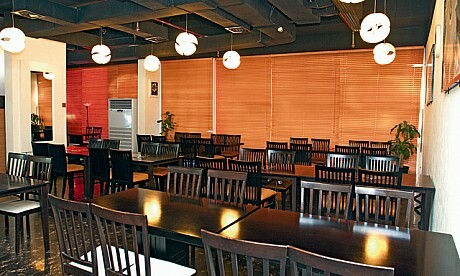 Most importantly, servings of Hyu Korean Restaurant are quite large that make it a great value for money. Hyu Korean Restaurant opens daily and activities start taking place at this bistro from 10:00 am till 10:30pm in the night. Oud Metha Road, Oud Metha, Dubai, United Arab Emirates. 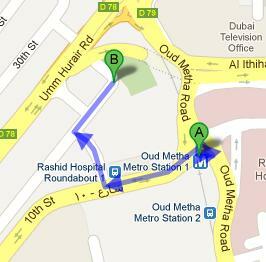 Head east towards Oud Metha Road/D 79 from this metro station, then take a sharp left turn onto Oud Metha Road/D 79 after which make a left turn onto 10th Street. Then turn right, before making another turn to the right side, where destination is located on the right side. Dubai Radio & Television 1 – Dubai bus stop is 600 meters away from Hyu Korean Restaurant and bus passengers can cover this distance in about 8 minutes on foot. 10, 22, 23, 42, 44, 61D, 66, 67, C4, C5, C6, C7, C14, C15, C18, C19 and X23 are the bus numbers which serve this bus stop. After reaching this bus station, guests of Hyu Korean Restaurant need to head south on Oud Metha Road/D 79, then turn right onto 10th Street and later make a right turn. After which bus users have to turn right once again and they will find this bistro on the right side. View map for directions.